Guess what? The toughest part of this painting is the title! Funny titles came to head before I even started it, “Ave Maria”, “Prayers”. “Amen”….. Nah! Way to religious! The painting itself speaks volumes, don’t need to double it…. right?? 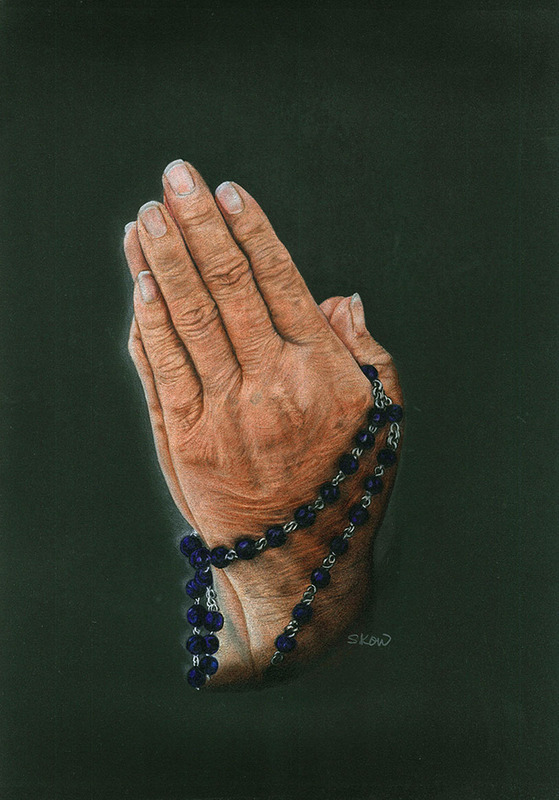 So, I think, while sketching, my mom’s hands, and she’s always praying, for us, so voila, that’s it! A mother’s prayer! O.K., done! This reference photo was taken using my Tab when my dad was hospitalised, the same day when I took the reference picture “To have and to hold…” You can see him at the background. It took me quite sometime to decide to paint this as the pain of missing him is still raw. After completing “Mr. Macho”, I came back to this. Well, I told myself, just do it. And I did! Glad I did! I just could not resist painting this guy. He with his many looks & moods. This photo was taken by my daughter when Spike (yes, Mr. Macho’s name), just woke up from a nap. She aimed the camera at him and look what a haughty expression he gave! Didn’t even flinch, a “I don’t give a damn” attitude. 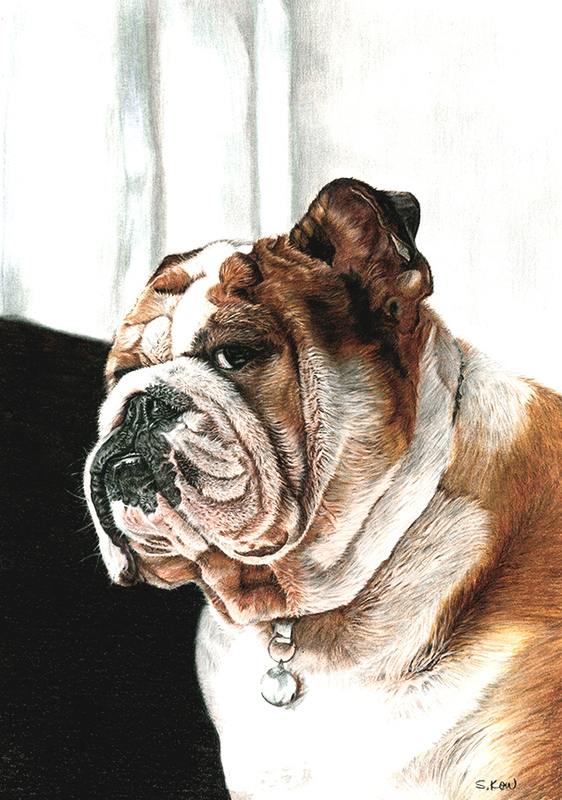 That’s a real bully (short for Bulldog).